"FINA can confirm that the reason for the unusual water colour observed during the Rio 2016 diving competitions is that the water tanks ran out some of the chemicals used in the water treatment process. As a result the pH level of the water was outside the usual range, causing the discolouration." So, what does that mean for the athletes who dove into that discolored water? The FINA statement also addressed safety concerns and said, "The FINA Sport Medicine Committee conducted tests on the water quality and concluded that there was no risk to the health and safety of the athletes, and no reason for the competition to be affected." This should be a relief for anyone who was worried about the presence of algae, such as Ralph Riley, Vice President of the Pool Water Treatment Advisory Group, who expressed his concerns to The Independent before FINA released its statement about the pH level being responsible. Before all of this information was stated, many of the divers themselves have had different reactions to the water, with British diving superstar Tom Daley simply asking "...what happened?" Mexico’s Paola Espinosa told USA Today, "We noticed it ... But it didn’t smell and there was nothing left on our skin." Canadian diver Roseline Filion told the New York Times, "we came here with a mind-set of ‘expect the unexpected.’ If the water was going to be orange, blue, green — it didn’t matter," before adding, "We kept our mouths shut, just in case." 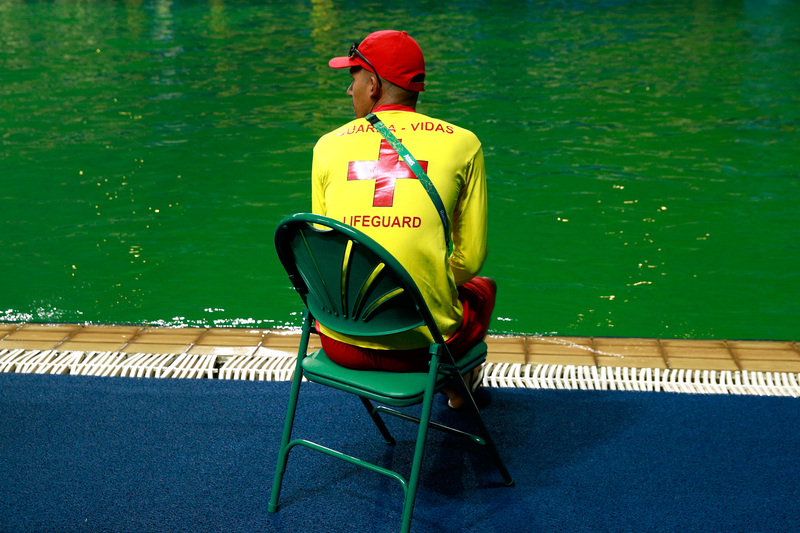 It's a relief that the green water was safe for the athletes who swam in it and though any health concerns have been cleared up, there's no denying that the image of green water will end up being a definitive visual memory for anyone who attended or watched the Rio Olympics.